I LOVE this card!! The house looks so cozy!!! Great mix of textures, too. Well, I would have picked it! It's a beautiful combination of products and textures. I especially like the stick pin flag and the canvas layer. Supposed to get cool here tomorrow. oooooo Love the layers and textures. Awesome card. This is gorgeous! I loveeeeeeee the colors, the doily and that house!!!! 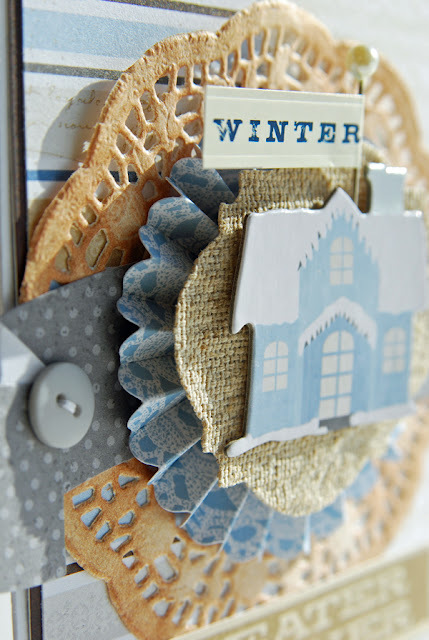 Beautiful card, love ALL those layers! It's going to be sweater weather very soon here! delish layers...I love sweater weather! Beautiful card Lisa!! Love the doilie and little house and burlap is always good!! Gorgeous card! Saw this on FB. Just gorgeous! How incredibly cute! Love it! That is a super cute card, Lisa! I can't believe it wasn't picked up. Ooh, I love this one! If I were the editor, I'd have published it. :) I love how the doily is the color of tea or cocoa--just right for winter. I love the unique banner with the buttons, too. 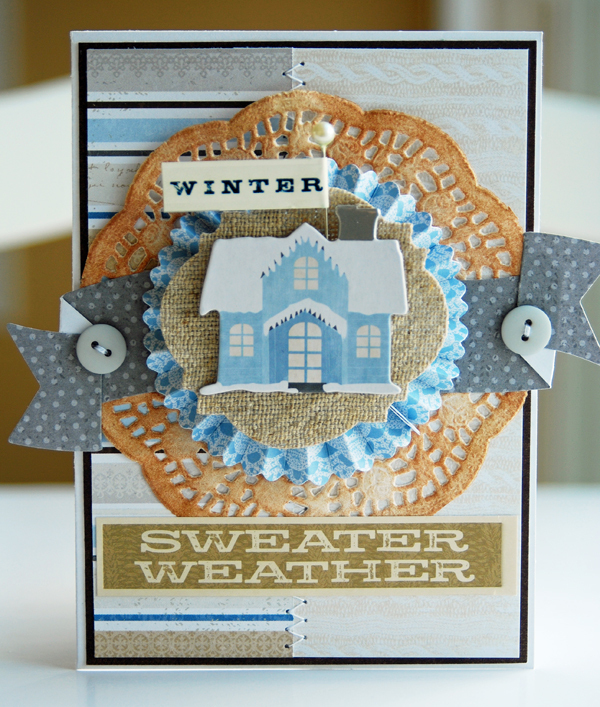 Love the different layers on this card Lisa, and the warm cozy feel!! Definitely a perfect card for sweater weather!! This is gorgeous! I love the layering and what you did with the doily. Definitely sweater weather around here. It's getting really chilly down here in the Carolinas too. Can't believe how quickly the weather turned. 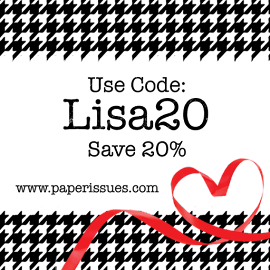 Love your card and all the layers and dimensions. Super cozy! Oh my! Your work is gorgeous! 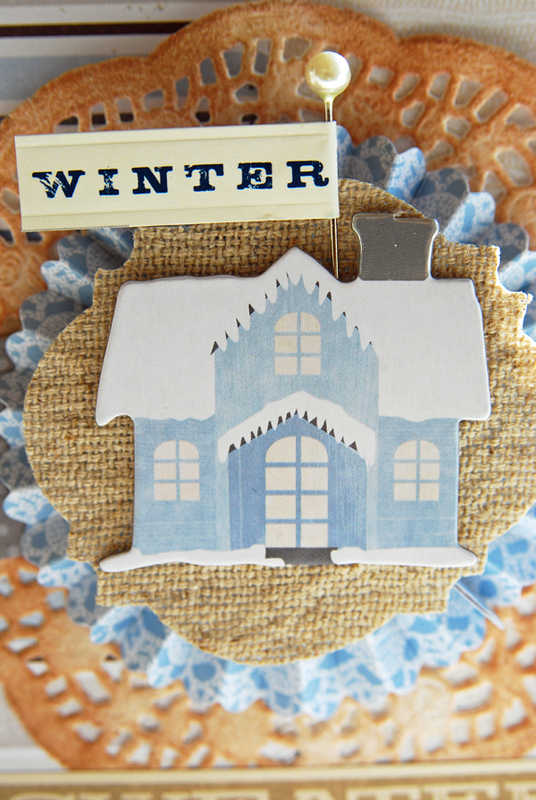 Love the burlap die cut!! This is so pretty! I love the dimension! Awesome card Lisa! Loving the soft colors! What an absolutely lovely card. Love how you used the collection. great layering. What a beautiful card. I love all the layering. Snow? It is a treat to get snow where I live. I think this year we just might see some. Oooh, I love the layering! It is just lovely! The stitching and the banner going off the edges is also such great design elements! Thank you for the inspiration!